Who's Coming to the Sales & Customer Service Awards on Friday? 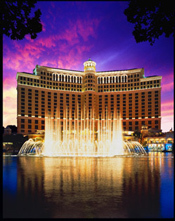 A record-setting crowd of more than 500 executives from around the world will gather at the Bellagio in Las Vegas on Friday, February 27 for the 9th annual Stevie Awards for Sales & Customer Service, the world's top sales awards, business development awards, contact center awards and customer service awards. Tickets for the event are still on sale. The presentations will begin at 5:15 pm with the Gold, Silver and Bronze Stevie Awards in the business development, new product, and solution provider categories. After cocktails and dinner, the awards will continue at 7:40 pm with awards in the sales and customer service categories. The evening will conclude with the presentation of Grand Stevie Award trophies to the 10 organizations that submitted the best body of entries to the 2015 competition. More than 1,900 entries were submitted for consideration in this year's competition, a 27% increase over 2014. Entries to the competition have more than doubled over the past three years. So who's coming to the event in Las Vegas on Friday? Here's the list of organizations that have already confirmed their participation. It's too late to submit nominations to the 2015 Stevie Awards for Sales & Customer Service, but it's the right time to plan for the 2016 competition. Join the mailing list and you'll be emailed the 2016 entry kit as soon as it's available in July.